How Much Rent Do I Need To Be Positively Cash Flowed? How Much Rent Do I Need To Be Positively Cash Flowed? Knowing how much rent you need for a property to be positively cash flowed is important when you are researching potential property investments. The amount you need varies from property to property and I am going to explain why that is and give you some guides to make your analysis easier. How much rent do I need for a property to be positive cash flow? This is a question that I get all the time from readers of my blog, or listeners to my podcast or how about it is people find me. They want to know what exactly do I need in terms of rental income or rental yield in order for my property to be positive cash flow. And the basics of it is that the rental income needs to be greater than all of the expenses combined. Now, depending on what property you’re investing then obviously the rental income is going to depend because the expenses are different for every single property. 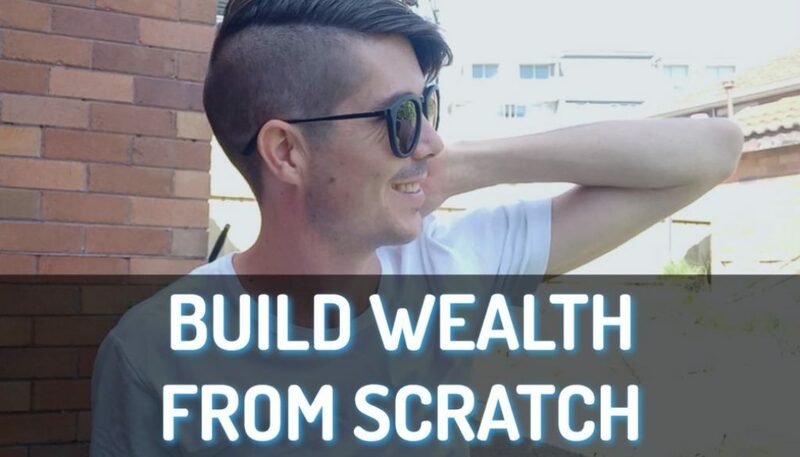 But what I’m going to do in this video is lay out a framework that you can use to basically work out is this likely to be a positive cash flow or do I need to look for another property with high rental income or a higher rental yield. The first thing that you need to understand is that the number one expense you’re going to have in almost all circumstances is your mortgage. Okay, the mortgage forms the largest portion of your expenses and it’s generally between 80% to 95% of the value of the property that you’re getting a mortgage. When I do calculations for the properties I list inside On Property Plus, I work it out on the basis of an 80% mortgage. So 80% of the value of the property is the mortgage and then we’re paying interest rates on that. So one thing that you need to look at is that the rental yield for the properties – how much rent you get over the course of the year divided by the value of the property, that rental yield needs to be greater than the mortgage rate you are paying. So if the mortgage interest rates at the moment is at 5% or kind of around that 5% mark and you’re looking for a property with a 4.5% rental yield, the chance of that property being a positive cash flow are slim to none. 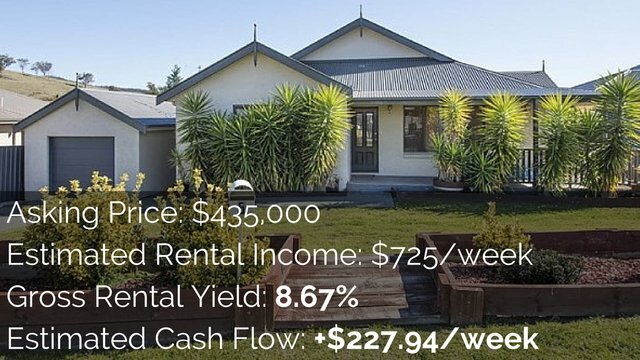 However if you’re looking at properties with over 5.5% rental yield, then you do have a chance of getting a positive cash flow. And I’ll talk through those yield percentages in more detail in just a minute. So your mortgage is your number one expense but you also have a lot of other expenses associated with owning investment property. The major one that I know of is your property manager fees, so renting out your property, you need to pay the rental manager a certain fee based on the value of that rent property. This is generally 6-8% of the rental income. You’ve got vacancy rates that you need to take into account. Is your property going to be vacant for a portion of a year? If so you need to account that as an expense. We can reduce it from the income but I find it easier for calculation purposes to count vacancy as an expense. You need to look at repairs and maintenance of the property. If you are buying an existing property, chances are there are going to be things that need to be fixed so you need to work out how that is going to be. You need to look at insurance and landlord’s insurance on your property, how much is that insurance going to cost you every year. You’ve got council rights that need to be paid. You’ve got bank fees. You’ve got water rates. You’ve got body corporate fees if you’re investing in a unit or townhouse or villa or places that are strata-type or had that shared land component. You’ve got land tax and this is only payable if you own a certain portion or certain value of land in particular state. For seasoned investors who have a lot of property, they need to consider this. But for most investors who are just getting into the market land tax isn’t really a thing that you really need to look at. And you got property improvements as well – these are things that you are going to improve about the property whereas repairs and maintenance are just kind of fixing things that break and keeping the property at the same level. So as you can see there’s a lot of expenses to take into account. Inside Property Plus, I have a calculator which I call the advance property calculator, which actually allows you to calculate all these expenses that I’m working on. Whether your properties are going to be positive cash flow, most of you don’t have access to that. 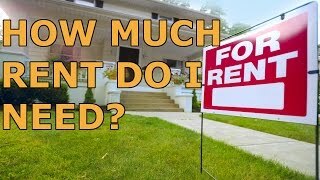 So here’s a rough guideline that you can use to work out how much rent I need for a property in order to have that property be positively geared. This is a general guide and it isn’t going to be true in all cases, so obviously you do need to do a full financial analysis before you go ahead and invest in property. But the rule is basically, the cheaper the property is, the higher a rental yield you need in order to generate a positive cash flow. And the reason this is is because when you get into the very low end of the market – $80,000, $100,000, $150,000 for a property, council rates, maintenance, insurance, bank fees, water rates, all these stuff become a larger percentage of the purchase price of the property. Because these sort of things don’t go down significantly when you own a cheaper property, it just means that your portion of expenses tends to be a little bit higher. 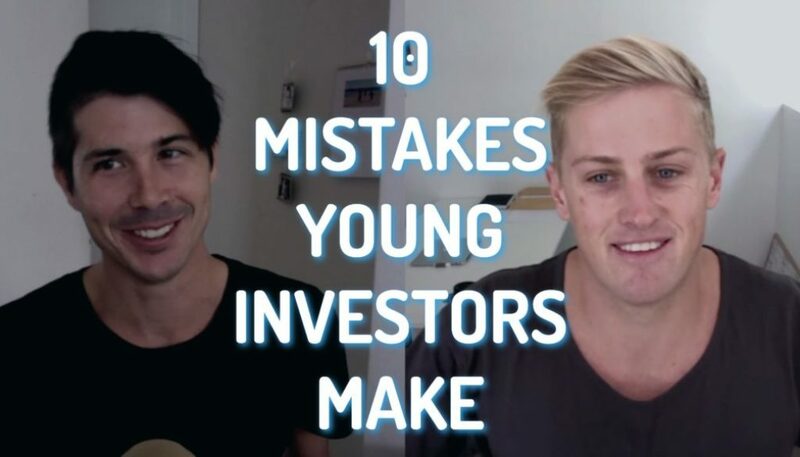 If a property is under $80,000 or $100,000 then you’re really going to need a 10% rental yield or more in order to generate a positive cash flow. I have seen properties really cheap around the $80,000 mark that have great rental yields. Sometimes 8%, 9%, sometimes 10% but that haven’t been positive cash flow because of those expenses that I have talked about. If you’re looking over the $100,000 but around the $150,000 mark, then you’re going to need an 8% rental yield or higher in most cases to generate a positive cash flow. If you’re looking at between the $200,000 and $400,000 mark then a 7% plus rental yield is likely to generate you a positive cash flow. If you’re looking from that $400,000 up to $800,000 or even up to $1 million then you’re going to want around 6% or more. I kind of looked at 6.2%, 6.3% or more to generate a positive cash flow. But the more expensive you go, so if you’re looking at property in the million dollars then you could probably look at the lower end of that scale. And if you’re looking at a property over $1 million, well you could potentially get away with a rental yield of about 5.5% or higher. The reason this is is again the same situation we have with the cheaper properties. The more expensive your property is, the interest rate and your interest repayments are going to play a massive role in your expenses whereas your council rates, insurance and stuff like that are going to be a lower portion of the rental income of that property. So as your property gets more expensive, the rental yield you need to generate a positive cash flow goes down. And as the property gets cheaper then the rental yield you need is actually going to go up. So this is a good guide for you. This guide is based on a deposit of 20% on the property and an interest rate of 5%. So at the moment, as I’m recording this in 2015, interest rates are extremely low in Australia. If we see interest rates go up to 6% or go up to 7%, well then these rates need to be adjusted in line with interest rates. 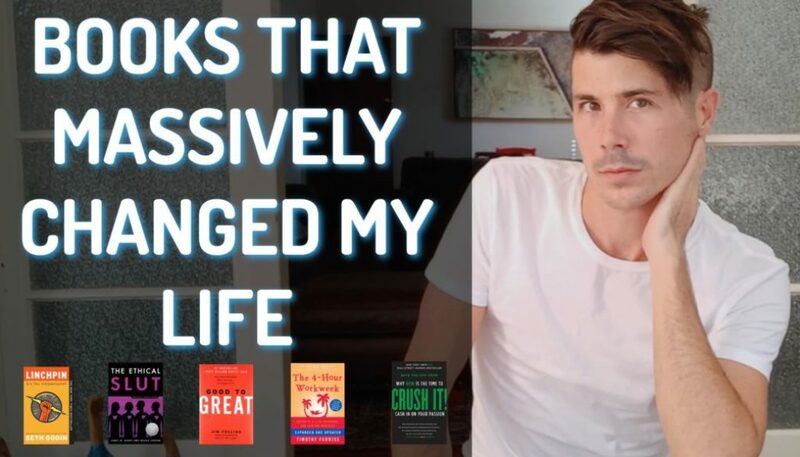 So if the interest rates go up to 6%, they go up 1% from the 5% so when using then simply add 1% to the guide that I have given you. So I hope that helps you understand how much rent do you need for your property to give positive cash flow. I wish there was a particular answer that says it’s exactly this amount or exactly this rental yield. But really you do need to take into account all of your expenses and those expenses vary from property to property. And so every single property is different. And that’s why I designed this advance property calculator so it’s got rough estimates in there so you can see on a quick glance, is this property going to generate positive cash flow. 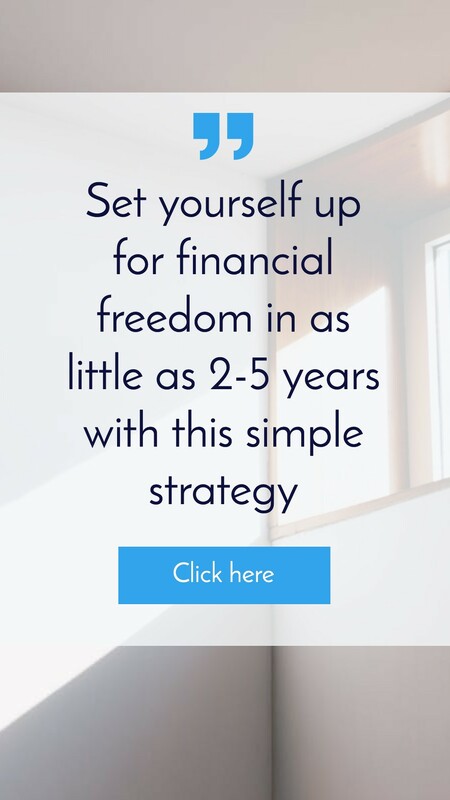 But then you can go through and you can edit those different expenses like property manager fees, vacancy rates, repairs and maintenance, insurance and all that sort of stuff. You can check that up by going to onproperty.com.au/plus. So I hope that that answers your question. 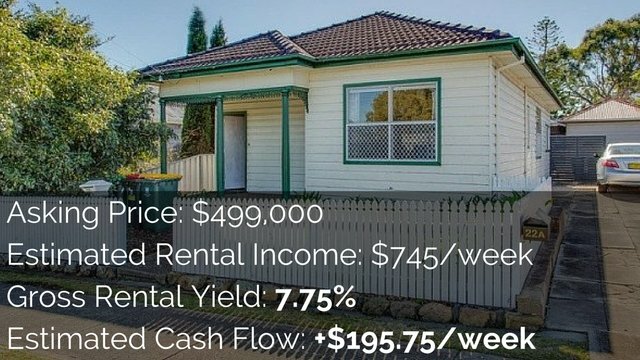 If you want to see some examples of properties that I’ve found that have high rental yields and a high chance of being positive cash flow, well you can check out 10 free property listings by going to onproperty.com.au/free. Then you can check those out absolutely free of charge. Just enter in your email address and you get access to those. So until next time, stay positive.